What to get my wife for her birthday? It didn’t take long to find the perfect thing. 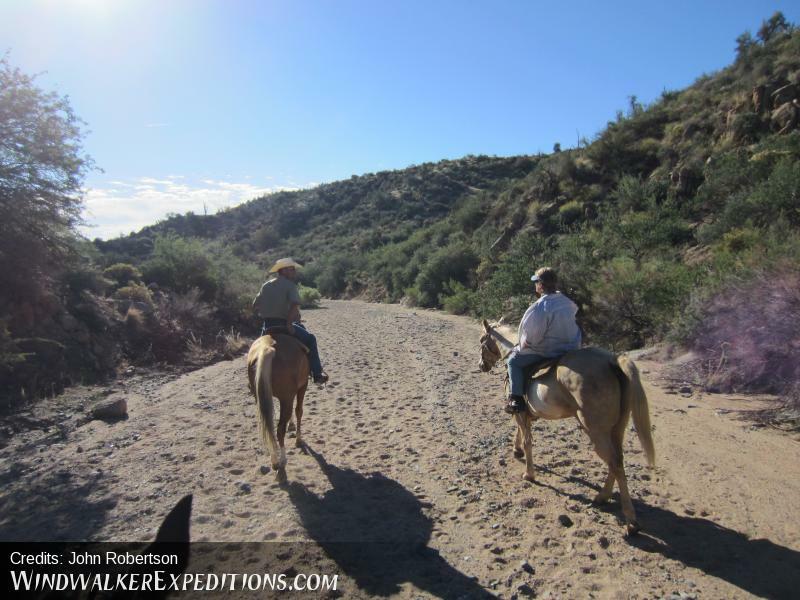 WindWalker Expeditions had just the thing – a 2 hour horseback riding adventure in the Tonto forest, Arizona. 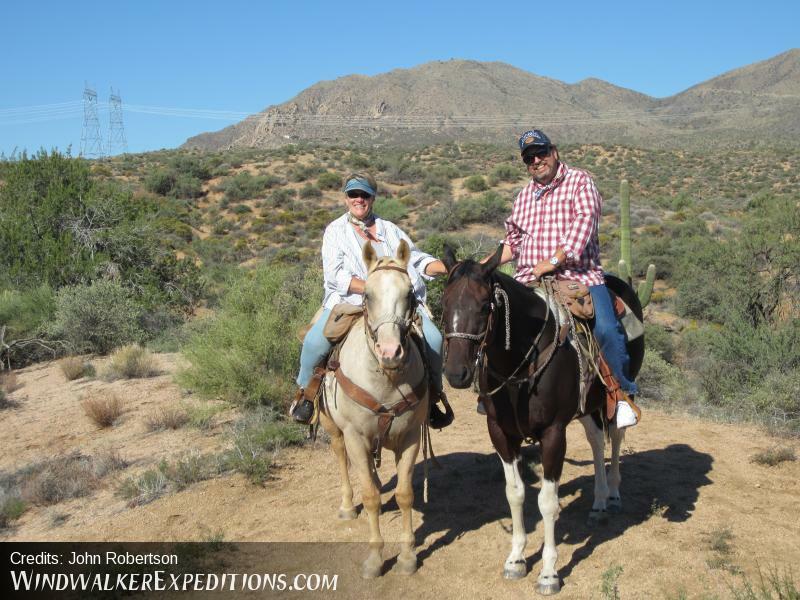 Riding horses is something she loves, not so much for me, but it is her birthday – so I signed us up. We arrived at our designated spot and the excitement was high. Me – will I was a little nervous since I’ve been on a horse only once in my lifetime. Kayla was excited though (It’s a hit!). Barry was our guide and from the start we knew we were in good hands. 10 years of rodeo riding, many more taking people out riding, or packing in. Safety was upmost in his mind and he watched over us during the whole ride. But there was so much to the ride. 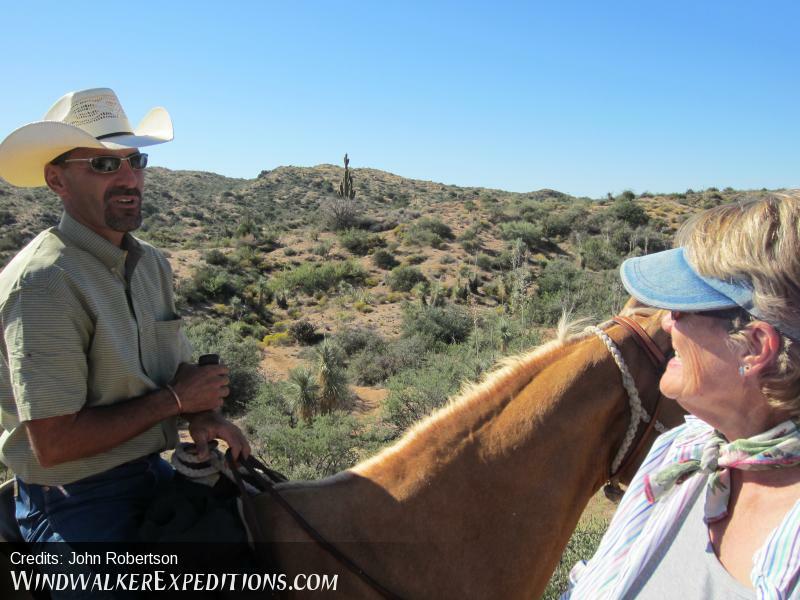 Barry kept us entertained with stories and experiences while we saw some of the most beautiful country in America. Up, down, all around – It was all fun. 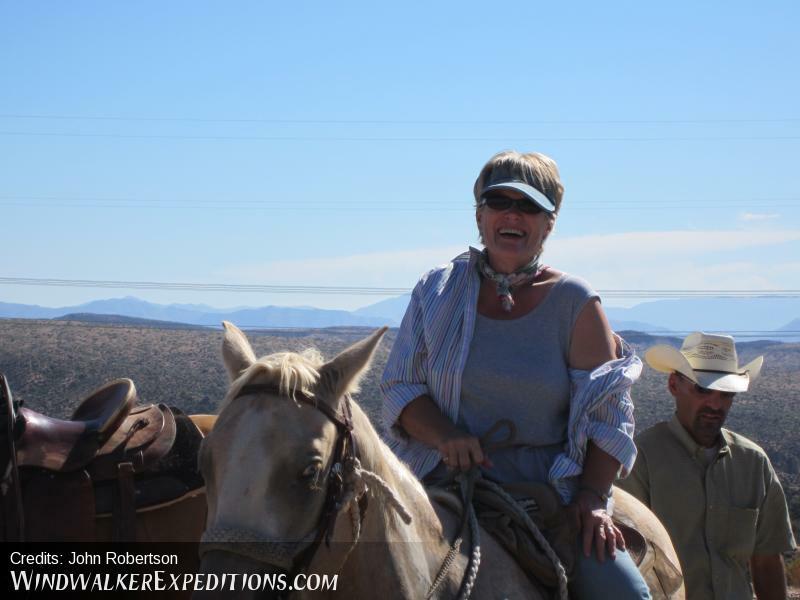 I learned how to lead a horse and to my surprise it was one of the best entertainment ventures I have been on in my 59 years. Kayla was full of wonder and excitement as we rode fast up a hill, slow down the next, through the canyons of the country. Trotting the horse was completely new to me and what a wild experience. In the end, we saw beautiful country, had a breathtaking ride with the best guild one could have had. 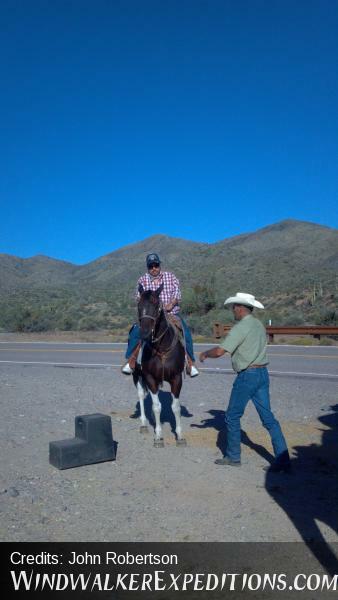 My nerves were not an issue from the moment I got up on the horse. 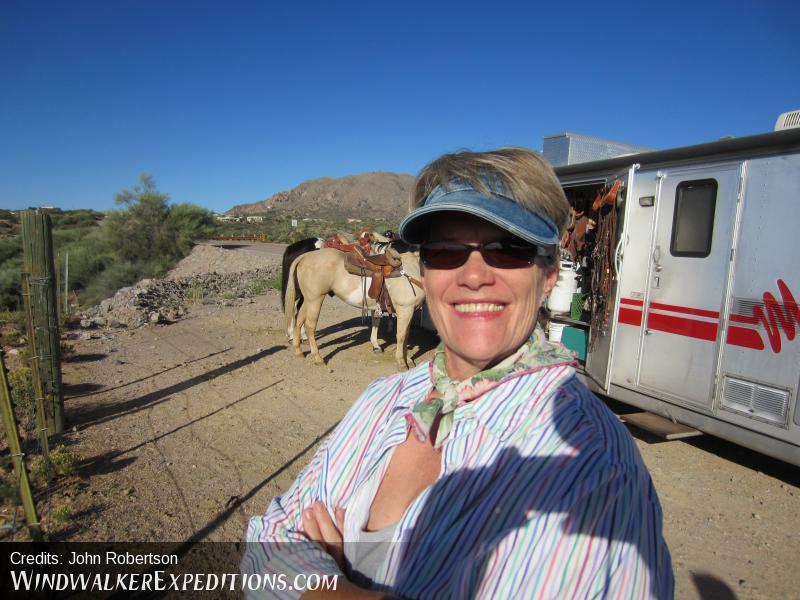 I surprised even myself when, at the end I said, “We have to do this again – where to next time?” For those who have not had this experience – ask for Barry and know you will love it. 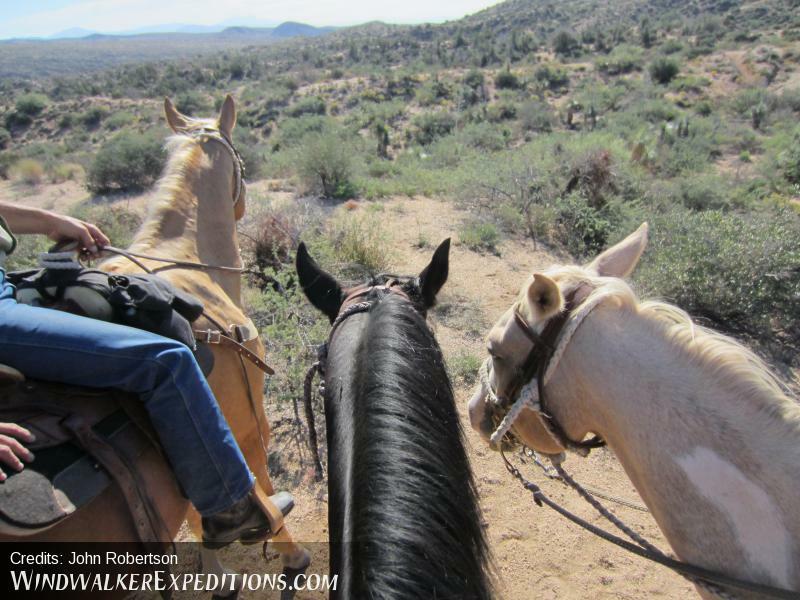 For those who love to ride – it’s the most fun, the most beautiful and the best company anyone can have. Thanks Barry and thanks to WindWalker for the best birthday present ever. How am I going to possibly top this? Barry – Where to next?